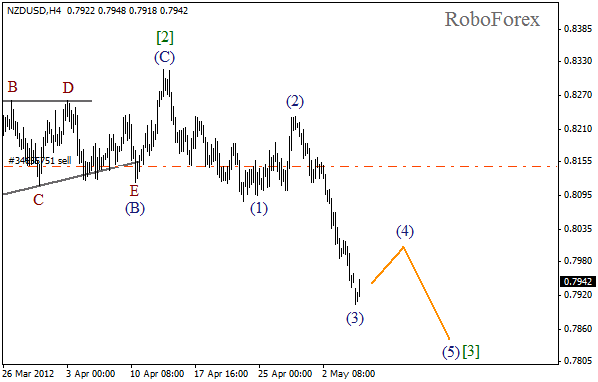 New Zealand Dollar has made a significant descending movement over the last several days. It looks like wave (3) has been already completed. In the near term, we can expect the start of the correction. After the price finishes the fourth wave, it will start forming wave (5) of . More detailed wave structure is shown on the H1 chart. It looks like the price has finished a descending impulse in wave (3), and at the moment is starting to form wave A inside the fourth one. 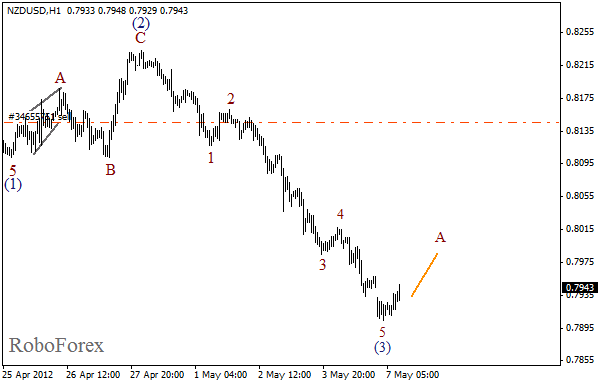 The market may continue consolidating in wave (4) during the next several days. 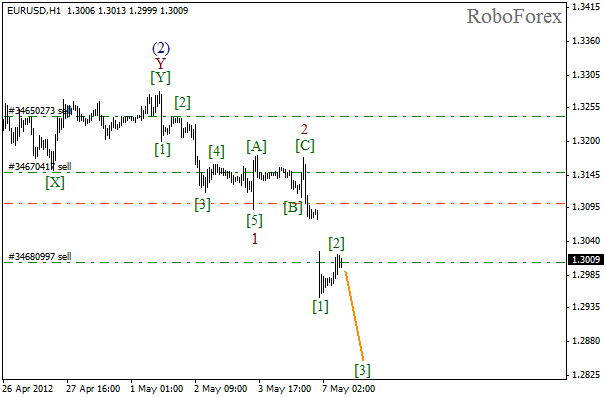 On Monday the market was opened with a strong gap down inside the third wave. 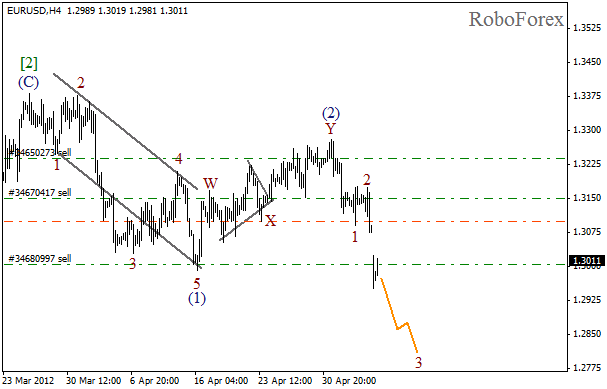 Earlier wave (2) had been finished in the form of double zigzag pattern. The forecast of the price movement for the next several days is still bearish. The gap, which took place last night, may be a part of wave , and right now the local correction is taking place. Most likely, in the nearest future the price will complete the second wave and start falling down while forming the third one.